This stunning Silver tiara is perfect if you adore the enticing sparkle of crystals! A subtle crystal tiara with an elegant arc design of iridescent flowers, this tiara comb is ideal for any bride, wedding or prom occasion. Overall length 10cm. Height 3.5cm. 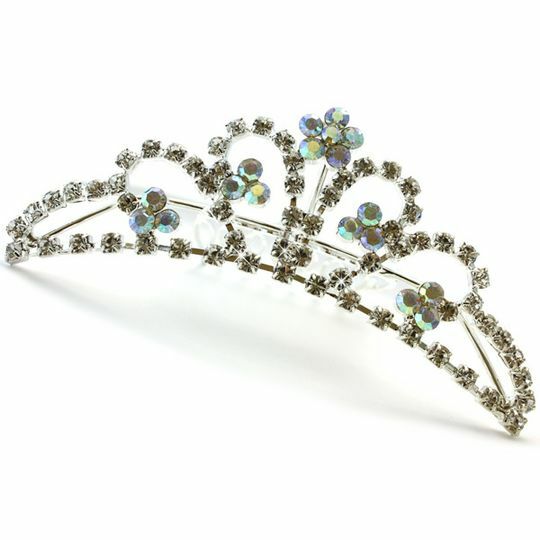 High quality tiara made with swarovski style crystals, boasting a vintage design.